I was hoping to have another review up today, or at least another book finished and ready for review, but the reading gods weren't on my side. I had a dentist appointment first thing, and I was envisioning walking over and arriving early enough to dig further in to Eula Biss's On Immunity until they called me in to the office. What actually happened: torrential downpour, 40 mph wind gusts, and sitting in the waiting room, just barely on time, soaked from the waist down. (Also, four cavities. Argh.) Add in the 36-degree temperature, and you've got a cold, wet Shaina, not a page closer to that review. So, instead, memes! I have to admit, the weekly book memes intimidate me—do you have to do them every week? Do people like reading them? Setting my insecurities aside, I have two here for you: Teaser Tuesdays (especially appropriate, with the lack of other review today) and Top Ten Tuesday. Maybe my pants will be dry by the time I'm through writing them. This book is chock full of fascinating tidbits like this, and (bonus) it's a short read! Very excited to finish it and get a review up soon. 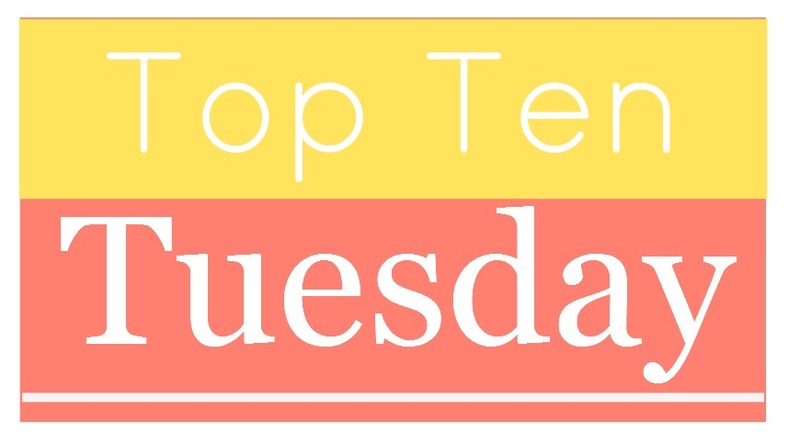 Top Ten Tuesday is hosted by The Broke and Bookish. Today's topic: ten new-to-me authors I read in 2014. 1. Connie Willis—I read Doomsday Book and To Say Nothing of the Dog this year (a bit of a review here), and what can I say? Willis is just plain fun! She blends the futuristic (particularly in regards to medical advances and time travel) with a keen eye for historical detail. When she travels back in time, it isn't just because she can—she creates the Middle Ages and the Victorian era. Both books were highly enjoyable romps that I would recommend for anyone looking for an escape. 2. Alice Walker—Oof. That's a good summary of how I walked away from both Possessing the Secret of Joy (one of my best reads of the year) and The Color Purple. Walker doesn't hold back from the violent, traumatizing or uncomfortable, neither in her writing nor her personal life. She's faced criticism, notably from her own daughter, but I cannot deny that her work is some of the most important and powerful I read this year. Of the two, I'd recommend PtSoJ. 3. Zadie Smith—I read White Teeth, her debut novel, last month and quite liked it. I eventually hope to explore more of her work. In particular, Changing My Mind, her essay collection, has been stuck in my Goodreads recommendation vortex for months now. 4. Marge Piercy—He, She and It, Piercy's half-Jewish folklore, half-cyborg love story, was another of my favorites for the year. Feminist sci-fi ftw! I wrote a few sentences about it on Goodreads. My boyfriend recently picked up Woman on the Edge of Time, and I can't wait to get my hands on it when he's through. She's quite prolific and well-regarded, so I imagine I'll read even more of her than those two novels. 5. Arundhati Roy—My review of The God of Small Things says it all, really. Stunning, stunning work. Maybe one day we'll get some more fiction from her, though her nonfiction repertoire seems worth investigating. 6. John Irving—I quite loved The Cider House Rules this year, though I read it before I'd discovered book blogging and never reviewed it. Irving's characters are just wonderful, and the problems they grapple with relatable and important. It also contains one of my favorite book quotations of the year: “What is hardest to accept about the passage of time is that the people who once mattered the most to us wind up in parentheses.” I hope to read more from Irving, especially The World According to Garp. 7. Leo Tolstoy—The first book I read in 2014 was Anna Karenina, and it took me about three months. What a glorious three months they were! This is a sprawling love story, political essay, thought piece on family and work and society. All I can say is I adored it, as this was also before the time of carefully considered reviews on my part. 8. Mary Shelley—Frankenstein! So very different than the pop culture representation of Frankenstein's monster and overflowing with complicated questions of human nature and identity. This story really originated in an 18-year-old?! It also planted the seed for a real sci-fi/horror kick later on in the year. If any of you take part in these memes, let me know! I'd love to read your entries. On Immunity sounds like a fascinating read. What a fantastic list - you've had a great year with those big hitters. Thanks for reminding me of the wonderful John Irving whose books are amazing reads. You're welcome! He really was an unbelievable pleasure to read. I ought to move Garp up on my TBR list! What a day you've had with your trek to the dentist! Excellent excuse to take it easy the rest of the day/week. I skip some weeks on the TT meme. It's really the only one I try to do regularly. A couple of others I do once a month instead of once a week. I love reading them, although it is death on my book budget. That was a really interesting tidbit you chose from On Immunity. I love hearing oddball facts like that, so yes, it interested me in the book. I'm so glad you read Anna Karenina. I love that book and there is so much more than is ever in the movies. I had the same experience with Frankenstein and the movies - also, there have been so many Frankenstein movies that the scenes tend to get mixed up in my mind. Always glad to find a fellow Anna Karenina lover! :) I find so many people get turned off by its length, or by Anna (and her problems) being unrealistic/unrelatable, but there's so much more to it than that for me. Ooh, might I ask why they scare you? It took me a month to read Anna Karenina and while I found some parts to be meh, it was overall an enjoyable and enlightening read. I must re-read it soon! Have you watched the 2012 film adaptation with Keira Knightley? It's not the most accurate but the scenery and the cinematography are divine. Out of 1000+ pages, of course there were the more slog-worthy sections. :) Still, overall, completely worthwhile! And I haven't! One of my college roomies loved the film (after loving the book), but I've yet to make the time for it. Sounds like it'd be perfect for a snowy night! The God of Small Things is one of the most incredible books I've ever read. I read it a few years ago in college and was just stunned. Glad you enjoyed it too! I mentioned in my review that I can see why people didn't like reading it in a high school classroom—definitely NOT the comfiest subject matter to discuss with your peers or teachers. I imagine it wouldn't be as rough in college, with (hopefully) higher maturity levels and all that. :) Did you read it for a course? Oh, I loved Anna Karenina! I haven't seen the movie yet, with Keira Knightley (sp? ), but I really want to. I loved The Cider House Rules too. I've read it twice now. The World According to Garp was kind of strange, but I enjoyed it. It's very original. I did my teaser on Lies We Tell Ourselves (thanks for visiting btw) and based on the other books you've read, I really do think you would like it. I replied to your comment on my site with a little more info on the book.